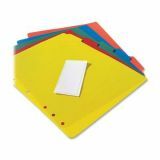 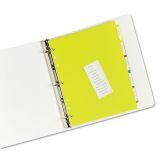 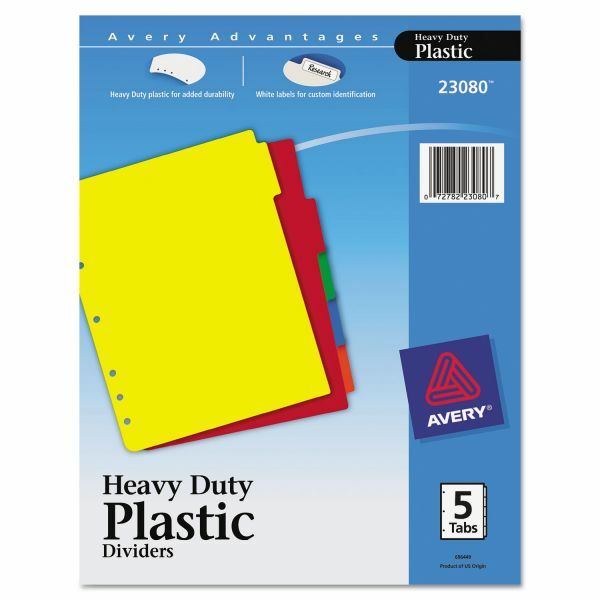 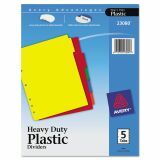 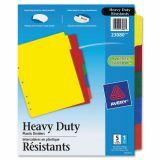 Avery Write-On Heavy-Duty Plastic Tab Dividers w/White Labels, 5-Tab, Multi-color Tab, Letter, 1 Set - Plastic tab dividers are made from a single piece of tough polyethylene. 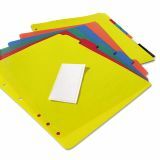 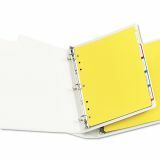 Dividers are seven-hole punched to fit both standard three-ring binders and seven-ring binders. 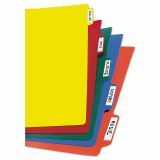 Use included white self-adhesive labels to create quick tab titles.